Creek to the South. 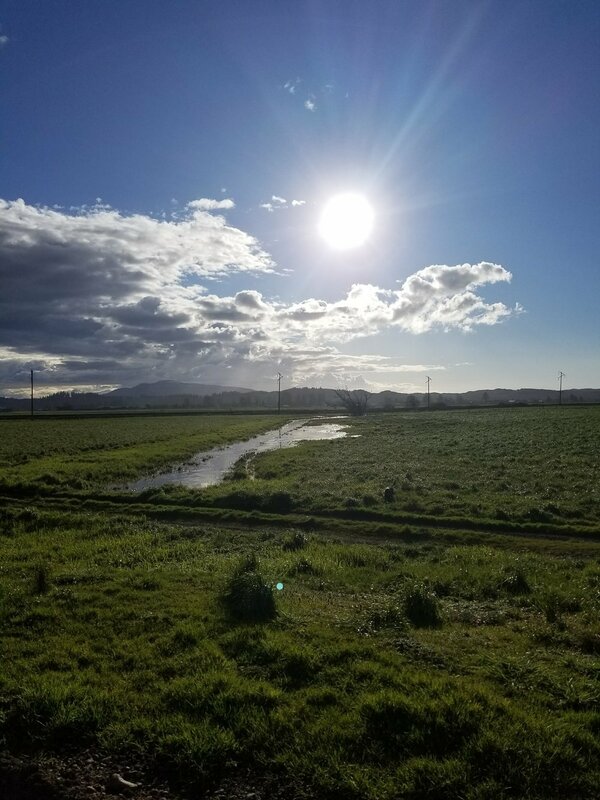 PC: Taryn M.
Welcome to Our Family Farm! We are the Martin Family and we have been Dairy Farming since the late 1800's! Before we moved into the United States in 1906 we were located off the coast of Portugal on the Azores Islands. From there we migrated on boat to the docks of San Fransico, CA and settled in the town of Stratford, CA. While in Stratford our family started out with only a hand full of Holstein cows. Flash forward to current day. We now reside in the beautiful and green coastal town of Tillamook, OR. We made the move to Oregon in 1995 and have been here ever since. We have a long history of excellence in Cow and Calf care. Which in turn allows our ladies to provide us with only the highest quality dairy products! "What about our bulls?" You may ask? Great question! Our Dairy is one of the national leaders for Jersey Genetics so many of our bulls go off to be Sires to create the next generation cattle for others and ourselves! We keep other bulls as steers to feed our family and sell to market. Feel free to contact us and Follow us!